In the market of life, a few good people remain unsold. Many may think they are worthless to be bought, but they are indeed priceless to get sold. Such people never go down on a discount. 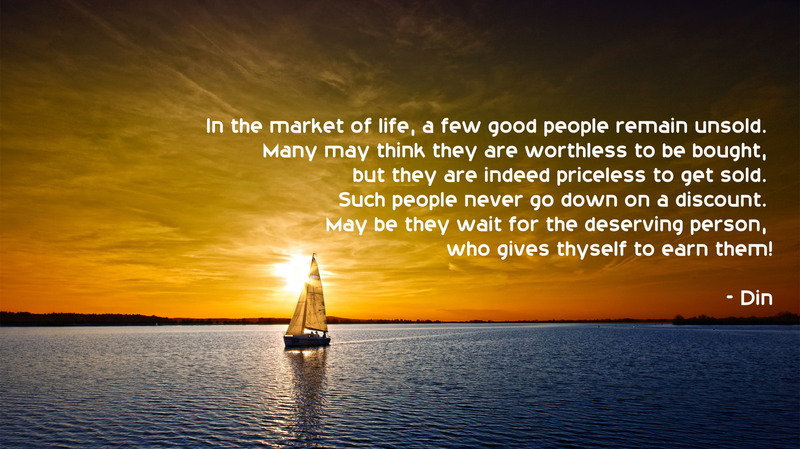 May be they wait for the deserving person, who gives thyself to earn them! 🙂 I do my best..